2 bags of shredded cheese (1 mozzarella/Italian blend, one other maybe a cheddar blend or colby jack) There will a fair about left over. 1) Heat oven to 375-400 degrees. 4) Sprinkle in some shredded cheese to about 2/3 the way up the cup. I usually put the cheddar blend in here. 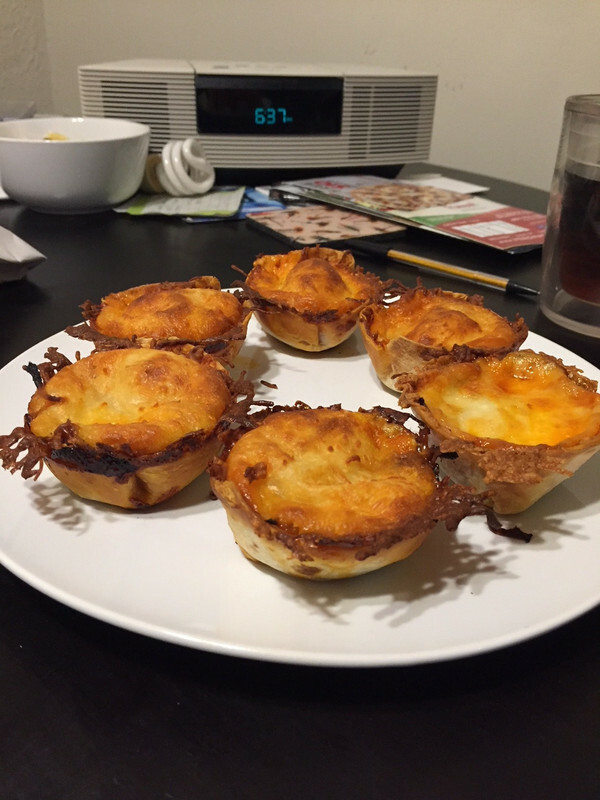 7) Bake for about 10-15 minutes (watch the over) - I take out when mozzarella starts to brown a little on top. 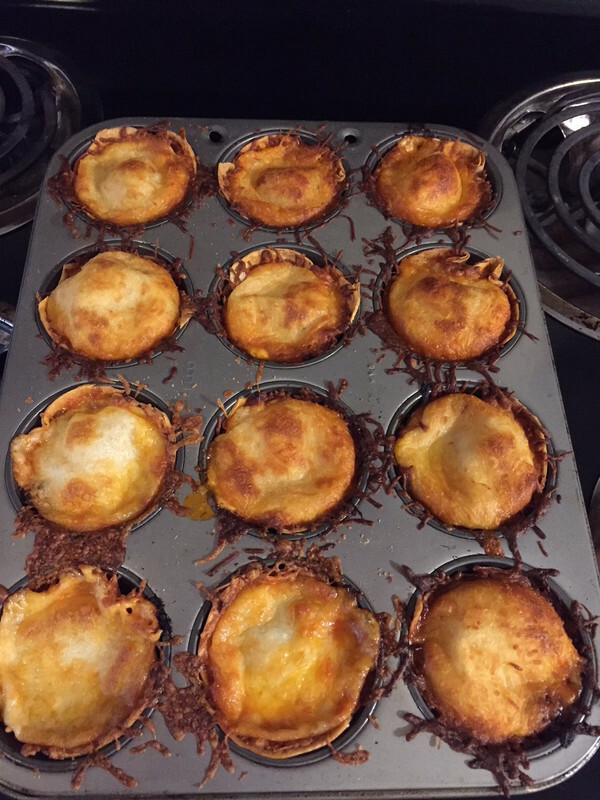 8) Take muffin tin out of the oven. Use a fork to pop the mini-pizzas out (they should come out real easy) and plate. You need to slice one of them open. Now you got me all hungry. Party time! I'd murder those.